‧Municipal Vehicle, such as police car and fire truck. 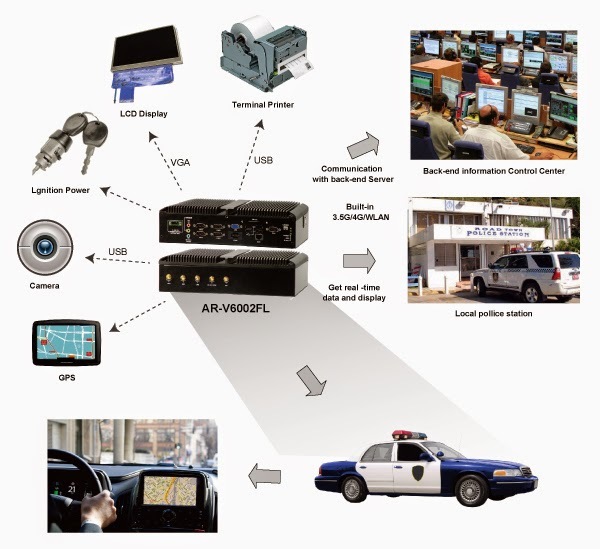 (Canada)‧Canada government use AR-V6002FL in their municipal vehicle to be a control center. With built-in wireless communication module, operator can locate their position and feedback the information for dispatcher immediately. There is also a dashboard with more than 70 gauges in the vehicle, acrosser platform help monitor data and trigger the events following their rules. Municipal vehicles facilitate public services that are deeply connected to providing safety and security in our daily lives; however, accidents can still occur. It is extremely important that civil officers are able to react instantly to accidents and crime. Municipal vehicles require steady and reliable solutions because of their harsh working environments. One of the problems that these municipal vehicles must handle is adaptability to battery voltage changes. Thanks to the smart power management subsystem incorporated in its in-vehicle system, Acrosser’s vehicle PC provides a wide DC input range, even in mobile operating environments. management by locating and route planning through each vehicle computer. ‧A-GPS is used for faster and more precisely position locating. ‧Improve traffic safety especially in winter foggy morning and at night. Ground traffic at airports may be just as busy as that in the skies. During rush hour, frequent arrival and departure flights result in passenger overflow between airport terminals. As a result, flight information should be synchronized with ground service centers, enabling fleet managers to dispatch the right bus between gates and terminals to facilitate smooth and safe passenger transportation. airport managers can improve resource utilization to enhance safety measures and provide a more pleasurable travel experience. ‧In-Vehicle Computer works as a control center for multi-function systems on mobile workstation vehicle. acrosser’s in-vehicle computers serve as control centers for working vehicles. 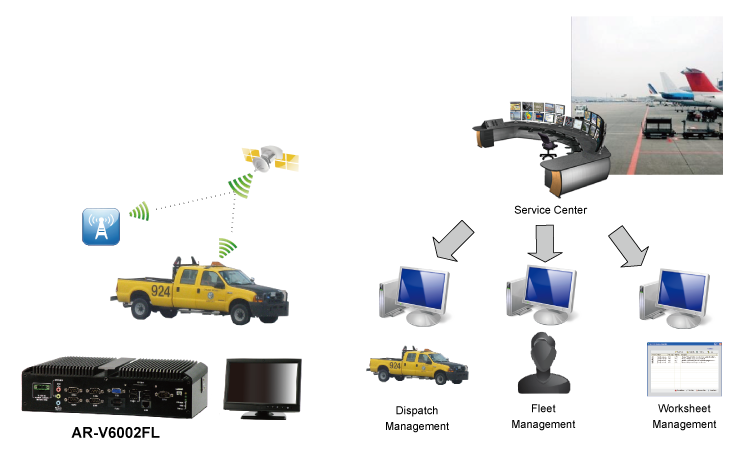 The compatible communication modules (3.5/4G, Wi-Fi, Bluetooth, and RFID) enable wide connectivity between the in-vehicle computers and other devices. In this example, our client was able to perform GPS fleet tracking, route navigation, task scheduling, vehicle monitoring, and material allocation planning all at once. Arctic Fibre Project to Link Japan and U.K. Meter by meter, a slim vein of fiber-optic cable will soon start snaking its way across the bottom of three oceans and bring the world a few milliseconds closer together. The line will start near Tokyo and cut diagonally across the Pacific, hugging the northern shore of North America and slicing down across the Atlantic to stop just shy of London. Once the cable is live, light will transmit data from one end to the other in just 154 milli-seconds—24 ms less than today’s speediest digital connection between Japan and the United Kingdom. That may not seem like much, but the fanless pc investors and companies eager to send information—stock trades, wire transfers—are so intent on earning a fraction-of-a-second advantage over competitors that the US $850 million price tag for the approximately 15,600-kilometer cable may well be worth it. 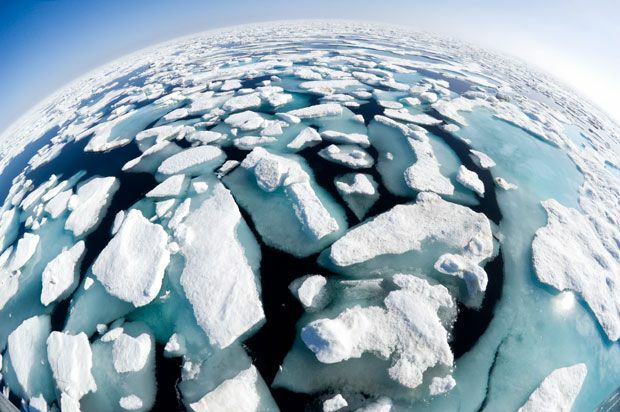 Arctic Fibre, the Toronto-based company building the cable, is the first to try to connect the globe’s economic centers by laying fiber optics through the long-sought -Northwest Passage—the pinhole of open water that warmer temperatures have brought to the Arctic. -British Telecom, China Unicom, Facebook, Google, Microsoft, and -TeliaSonera are watching closely, but so are tens of thousands of Canadians and Alaskans who stand to gain a huge boost in Internet access. Marine surveys will plot the cable’s route this summer, and the line will be custom built to the surveyors’ specifications. The installation is scheduled to start a year from now, and the cable could be in service by the end of 2016. Along its route, the cable will pass directly through seven Alaskan communities and cross 25 more communities in Canada. Those connections will bring 57,000 Canadians and 26,500 Alaskans online, most of whom have never before had access to broadband. Though the United States’ Federal Communications Commission recommends access to download speeds of at least 4 megabits per second, the average download speed in rural areas of Alaska rarely tops 3 Mbps. Plus, there are still 21,000 households and 6,000 businesses without any access to broadband at all. Doug Cunningham, president and CEO of Arctic Fibre, knows this misery all too well: Because upload speeds were too slow, he had to use a courier to send his 227-page environmental report on the cable to the review board in Cambridge Bay, a hamlet in Canada’s most northern province. Arctic Fibre, the cable’s owner, will not sell broadband directly to homes and businesses; it will provide only the backbone from which carriers will siphon these services. But the company predicts that prices could be slashed by 75 percent for equivalent service or that northern customers might receive six to seven times as much bandwidth for the current price. The new broadband will easily transmit classes from the University of Alaska or permit researchers at the Canadian High Arctic Research Station to upload large data sets. Telemedicine recently debuted at four health-care systems, including the U.S. Department of Veterans Affairs in Alaska, and better broadband could keep fanless pc from having to travel hundreds of kilometers to seek services. Access will also be a boon to rural businesses. All of these benefits stem from a 4–centimeter cable. Barges will lay it along most of the route. But to prevent a 1,800-km detour by sea, there is a 51-km section that must cross the Boothia Peninsula, a roadless scrap of tundra in northern Canada. Cunningham says that laying this stretch will require stuffing four large reels of cable through the door of a Hercules aircraft, flying onto a remote airstrip, packing the cable onto sleds, and pulling it across a frozen lake. The crew must then snowmobile along the cable’s intended route, cutting a trench about 30 cm deep through permafrost to bury the line. That’s all far more work than any company would do to just to serve fanless pc communities in the far north. And with an end-to-end capacity of 24 terabits per second, it’s far more than Arctic residents need. After having so little access for so long, they will be awash in broadband. “The capacity is incredible. They’ll never use all of that capacity,” says Desiree Pfeffer of Quintillion Networks, the Alaska-based arm of Arctic Fibre. Posted on January 6, 2015 Categories UncategorizedTags automobile computer, Embedded and PC-Based, embedded computer, Embedded PC, Embedded SBC, NetworkingLeave a comment on Arctic Fibre Project to Link Japan and U.K.